BuddhaHand: INTRODUCTION: The story behind the BuddhaHand. Early this year during the Chap Goh Meh (15th day of Chinese New Year), I visited the fame Kek Lok Si Temple Penang with my daughter. My daughter asked me about the statues. 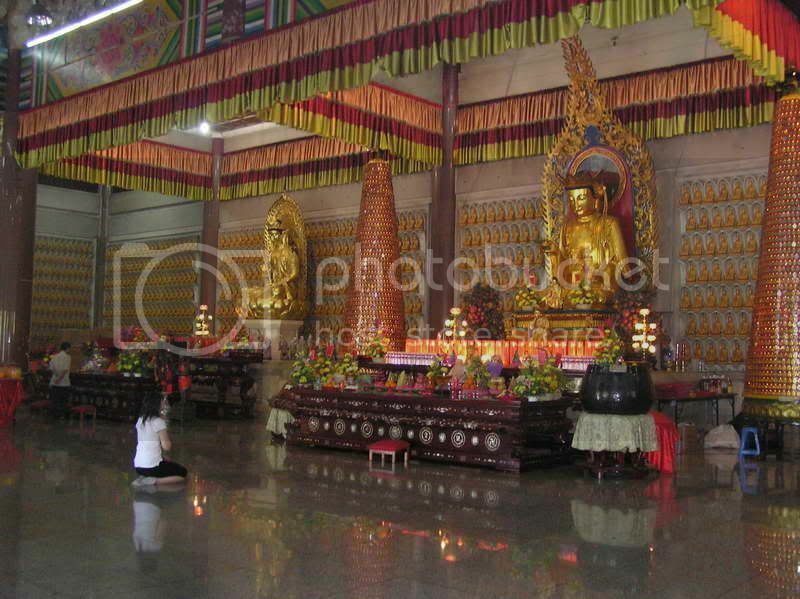 I said that was Buddha…that was Kuan Yin….that was Buddha….That was how I used to perceive these Divine statues. As I was photographing and observing the statues, their beautiful hand gestures caught my attention. I realized they were of different postures and must have meaning attached to it. So I did a research on the internet and fount out its meaning for the 1st time in my life. The MUDRA. I got inspired with this new discovery and came out a with a project on this theme: "Feel it and be Touched by it". I decided to take the challenge to cast the Buddha hand on river stone. 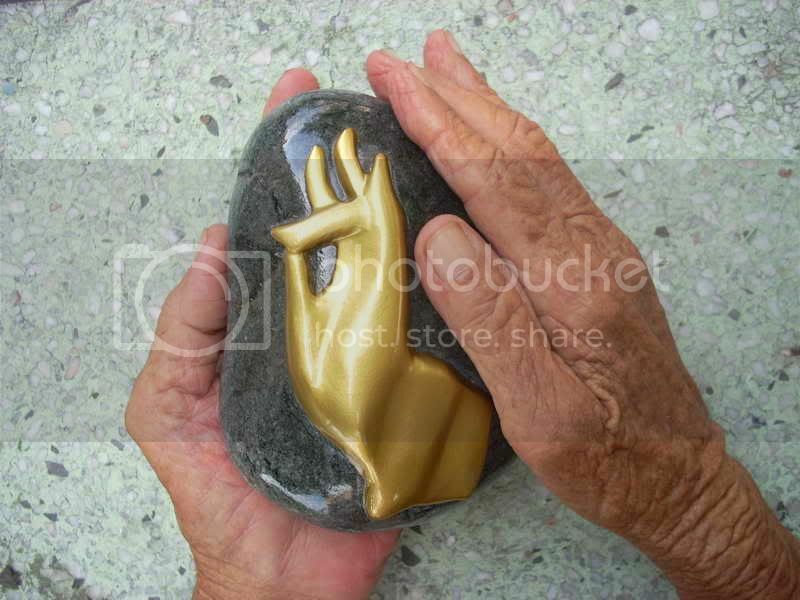 The idea is to let worshippers touch the “Hand” on the stone and get “connected” or “engaging” with the Buddha. You see at the temple, you are not allowed to touch those beautiful hands on the statues. After many frustration attempts I finally completed my 1st batch of collection 2 days before Wesak Day 2009. Unfortunately, it was too late to display them at any temple in Penang. Later, I wrote to Kwong Wah Press about my collection. They were impressed and agreed to do a story. The story came out on July 3. Little did I know it was appeared full front page in the feature story section. I was indeed honoured for that acknowledgment. To educate the public on the meaning of the Mudra. To educate the public to appreciate the divine statue and its meaning. To let the public feel the “hand” and be touched by it. Now and then I will to take them for an exhibition. So please check on the post on “Exhibition Near You” to see if there is any exhibition coming out. 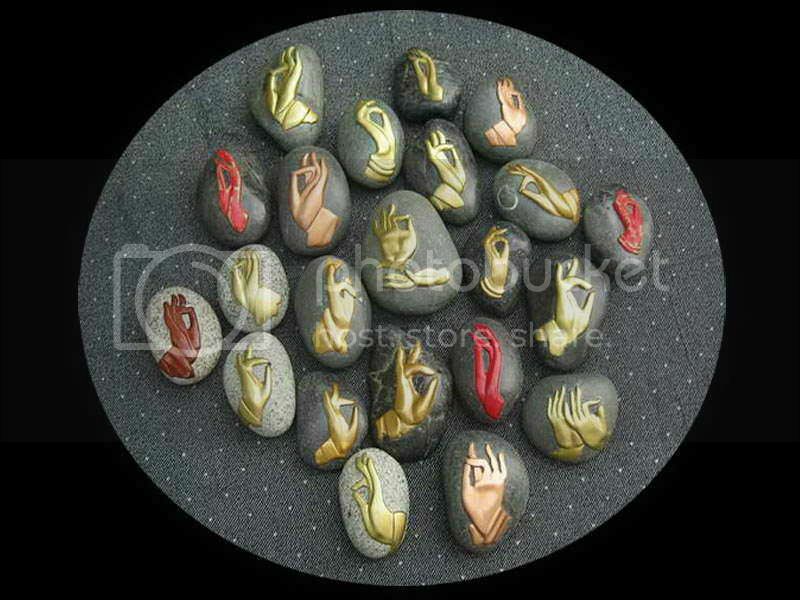 HOWEVER, In order to support my work and goals, I have made these extra BuddhaHand for sales. This blog is created for this purpose. Thanks for your support and visiting this blog. May all living things be well and happy.